The fitted dresses are still very much prevalent in Hervé Léger's designs although there's a slight twist to his designs for the SS16 season. There has been a huge focus on embellishments and intricate embroidery across his designs. The skater style dress appeared to feature a great deal in his SS16 collection at NYFW. The colour palette for Hervé Léger consisted mainly of powder blue, rose pink shades and ivory and black. The Victoria Beckham SS16 collection was a little bit different to what we have come to expect from the designer at NYFW. The SS16 collection heavily focused on prints from the seaside prints to the checked look. 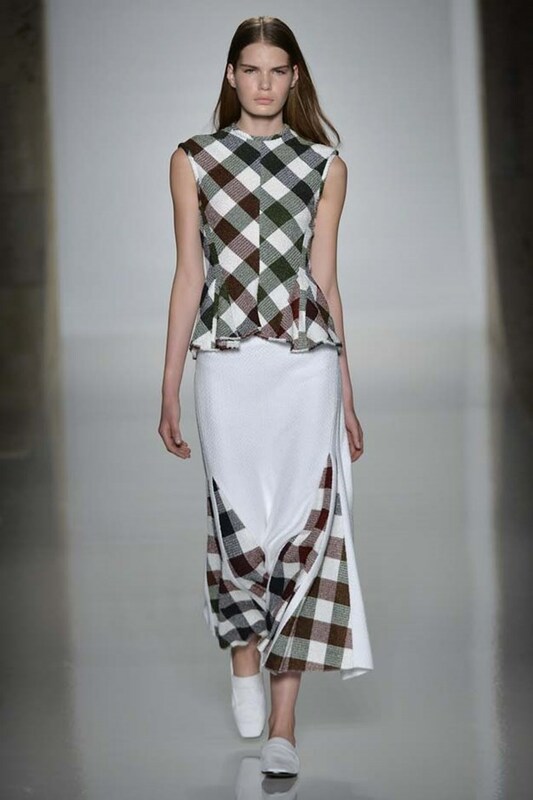 The designs featured some structured fitted pieces along with flowing billowing dresses and maxi skirts. The colour palette was bold consisting of orange and hints of cobalt blue along, sandy camel tones and the usual hues of white and black. Judging by her collection the suede will be staying for the SS16 season. 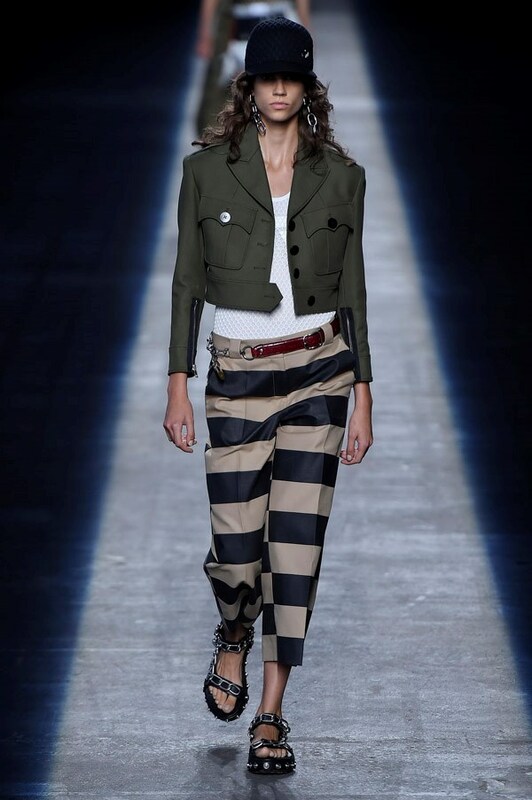 One of the striking details from the Altuzarra SS16 would have to be the button detail; there was a great emphasis on this across the various designs from the collection. 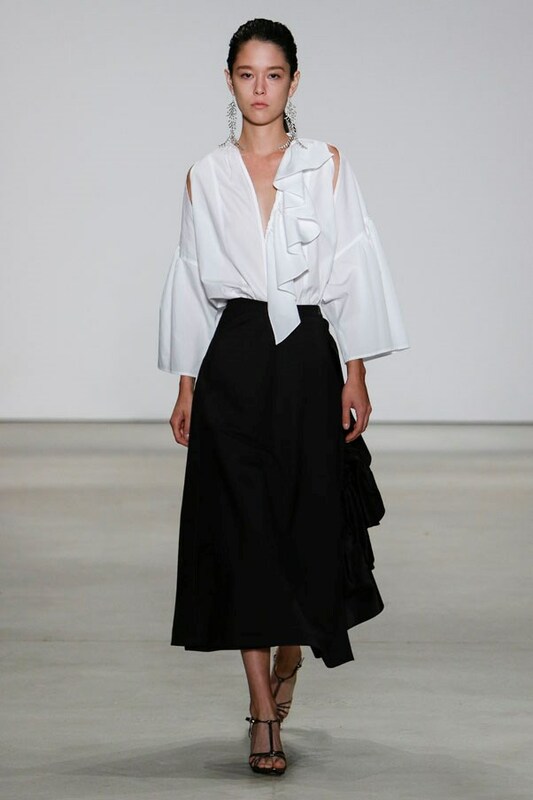 In addition the the thigh split dress and skirt was featured greatly through out his SS16 collection. 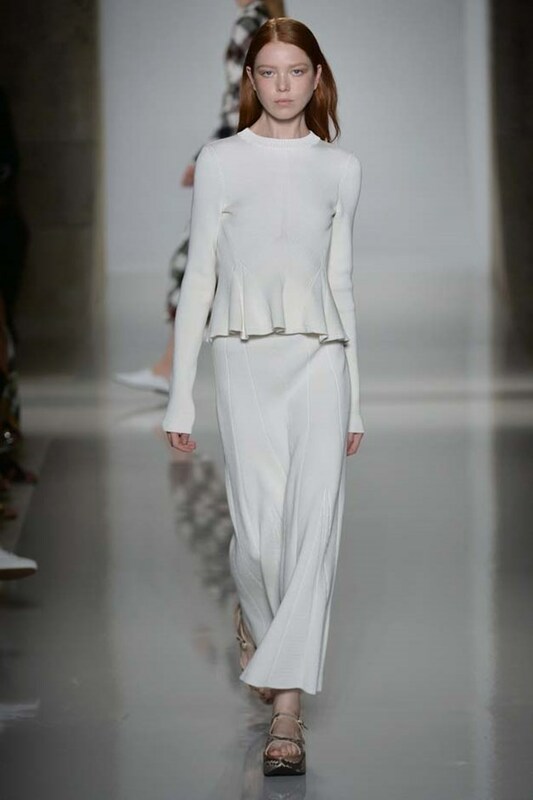 Much like the Victoria Beckham SS16 collection, orange and camel tones was seen a great deal in the Altuzarra range. 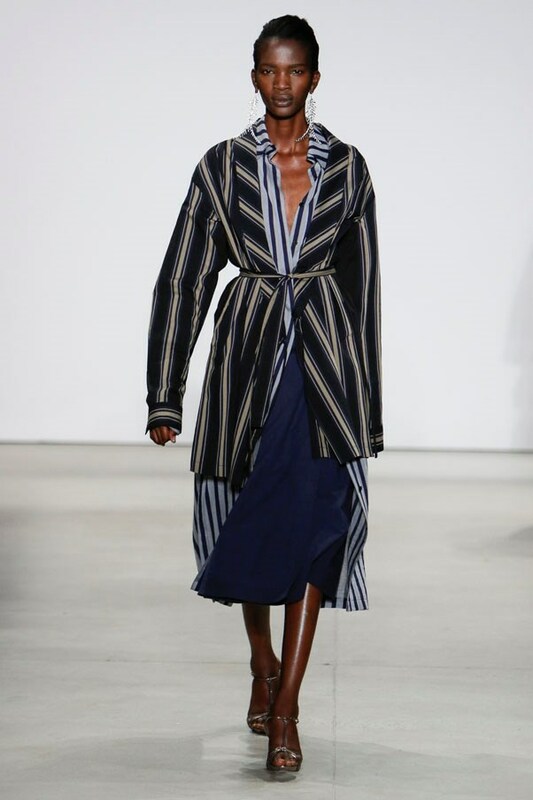 It is safe to say that the occurring theme in the TOME SS16 collection for NYFW was monochrome and stripes galore. 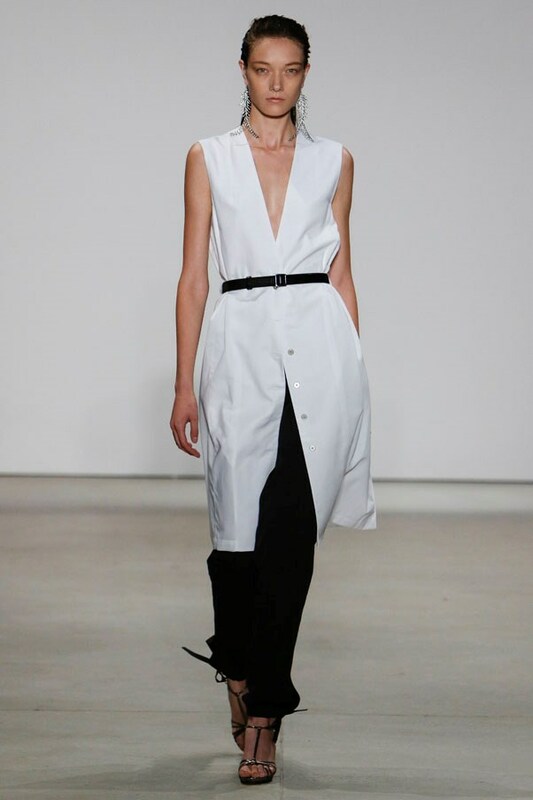 It seemed like pretty much every look was belted to create a feminine silhouette amongst the bold shapes. The colours were very muted and mellow but the designs no doubt ensured that each stood out on its own. 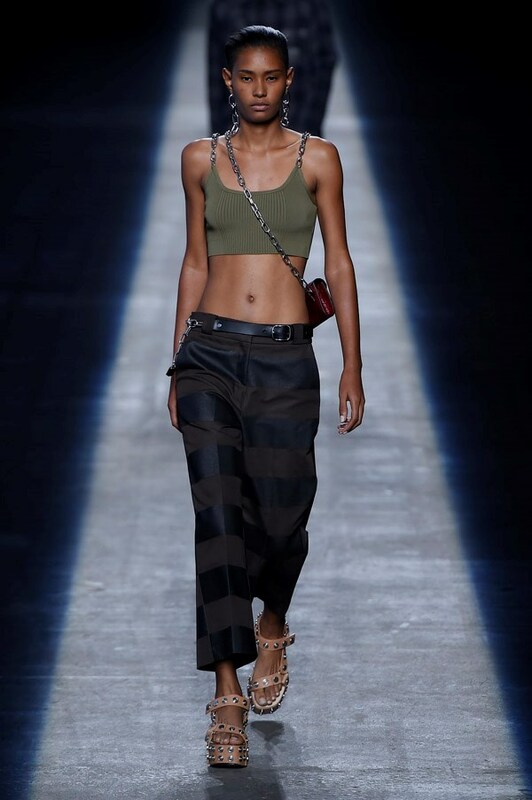 The Alexander Wang NYFW show can be summed up as high class fashion meets grunge affair. There were contrasting styles included in the SS16 collection. 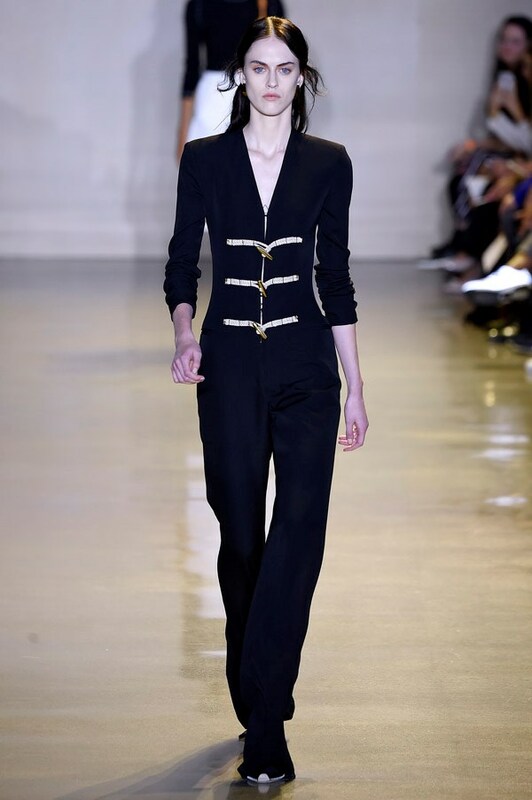 There were some masculine styled looks which featured jersey cropped tops with tailored trousers accessorised with a fair amount of metal chains. We also some famine cut slinky silk dresses with romantic tones which was a struck contrast to the darker hues featured on the more masculine styles.